One of the big benefits of using cloud computing services is one of cost, we’re told. True, CAPEX items on the enterprise ledger are certainly fewer as a result of the movement of services and applications out onto public servers, but that’s not to say that the cloud is free. Costs accrued by use of pay-as-you-use services are kept relatively low thanks in part to the large providers competing with one another. Canny IT teams can save significant amounts by switching cloud service providers, and many are doing just that, but managing multiple providers as part of hybrid (and changing) topologies causes more than a few headaches. If your connectivity specialist can leverage significant resources on your behalf, costs can be lowered, and management issues simplified. Such is the case with Digital Realty— the global data centre and connectivity specialist operates over 210 facilities worldwide in 13 countries (with another new data centre coming online in Osaka later this year), so its services can be geographically close but have the required global muscle to ensure an enterprise-grade service and portfolio of offerings. With a value of US$35 billion and 12 consecutive years of “five nines” availability of service (surpassing 2.1 billion operating minutes across its entire data centre portfolio), Digital Realty’s interconnectivity options make a significant difference to its customers that use its global platform. But regardless of customers’ size, Digital Realty keeps its business focus foremost for all its customers. The portfolio that includes IX (Internet Exchange) connectivity between ISPs and CDNs and options for settlement-free peering, also contains more downstream, “traditional” co-lo offerings. Given that range of services, it’s good to know that the ability to scale up at will is there. While the company’s impressive upstream connectivity options are an example of the possibilities, the Service Exchange platform is one that benefits companies of any size. It addresses the cost issues of working with connections to the various instances of applications spread across multiple clouds and thereby saves companies double-digit percentages on their total hybrid cloud costs. 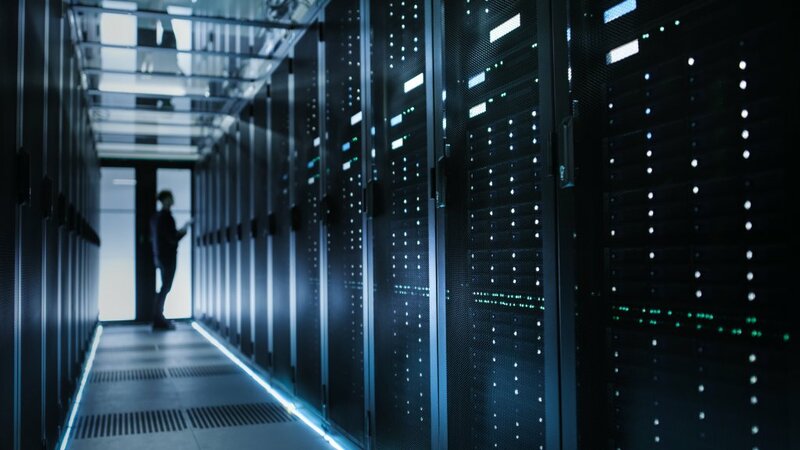 Service Exchange gives connected organisations one port to multiple IaaS or SaaS providers, and a way of managing the interconnectivity that reduces inefficiency as it simplifies. Connections to the Azure, Alibaba, Google Cloud, et al. are private and secure, which means no reliance on the vagaries of the public internet. Redundancy of connectivity options also helps ensure those business-critical applications keep running. The software-defined network creates the type of scalability and malleability that’s epitomised by public cloud services but allows companies to consume those services privately, on a co-lo (and local) scale. Plus, the move to a complex yet efficient hybrid topology is better managed, and costs kept to a minimum. The fact is that despite the marketing hype, any company’s connection to a cloud provider (take AWS as an example) is not based on peer-to-peer. The interconnection via the public internet is sub-optimal because there’s no guarantee of security, low latency, and QoS. Moreover, services like Oracle’s Fast Connect, Alibaba Cloud Express Connect, and AWS’s Direct Connect leave room for improvement – with a provider like Digital Realty leveraging its capabilities, even primary metrics, like number of hops, is massively improved. While that level of granular technological detail may be lost on the C-Suite, what isn’t is the chance to lower costs, scale and provide a business-focused, reliably-secure range of connections. There’s also the issue of services that aren’t used to their fullest extent. Via Digital Realty’s MarketPLACE portal, different providers’ services can be attenuated or even switched in and out at will, creating a true pay-as-you-use model. To learn more about how your organisation can leverage the power of a provider with a global footprint, and gain better benefits from a multi-cloud strategy, get in touch with Digital Realty today.